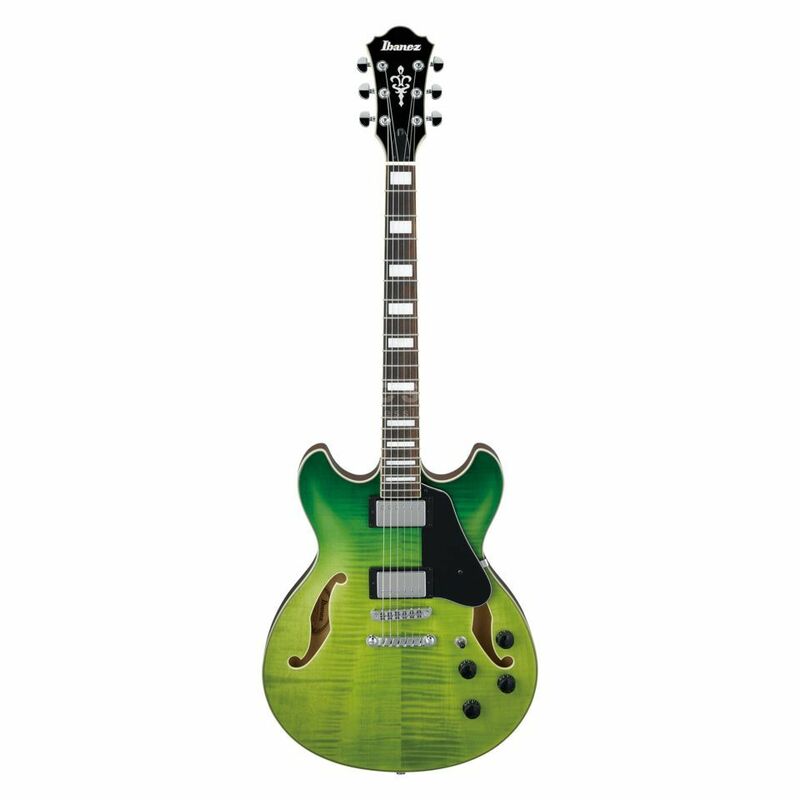 The Ibanez Artcore AS73FM-GVG (Green Valley Gradation) is a semi-hollow electric instrument taken from the Artcore range, with classic looks and eye-catching colours. This guitar is made up of a Flamed Maple body with a Linden back and sides, and a Nyatoh neck in the classic AS Artcore profile. The pick-ups are 2x Classic Elite humbuckers, whose flexible sound character is well suited for clearly articulated genres as well as for steaming hard rock. The Artcore AS73FM-GVG (Green Valley Gradation) features the ART-1 and Quik Change III Tailpiece combination from the series for maximum resonance and a tight sound, whilst classic die-cast mechanisms in a Chrome finish adorn the headstock.